Rooms from $56.00 per night. Description This Waycross, Georgia hotel has an outdoor pool, free internet access, non-smoking guest rooms and free breakfast. This hotel is also pet friendly. 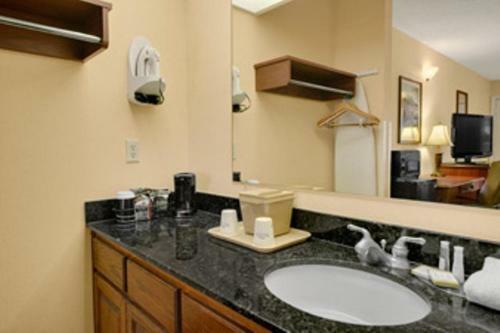 A convenient location and comfy accommodations draw our guests to the Baymont Inn and Suites - Waycross. All 60 rooms at the three-story property feature pillowtop beds and cable TV. Accommodations with coffeemakers microwaves and mini-fridges are available upon request. 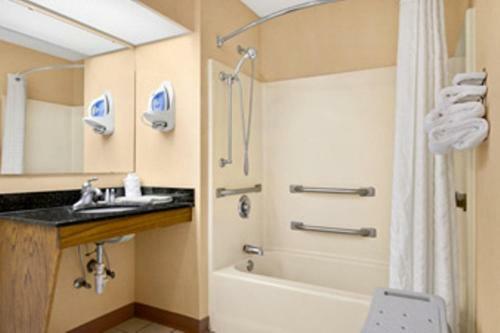 All units are accessible via exterior corridors. Stop by the lobby to pick up a free copy of the newspaper or check email from the guest computer. 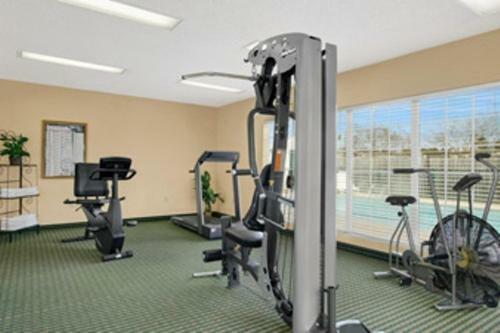 The property includes a fitness room filled with cardio equipment. 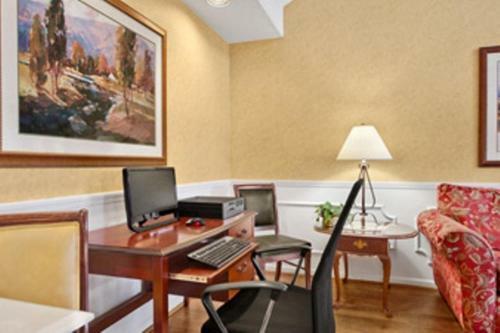 The front desk is open 24 hours a day and offers express check-in/check-out for added convenience. Small pets are permitted. 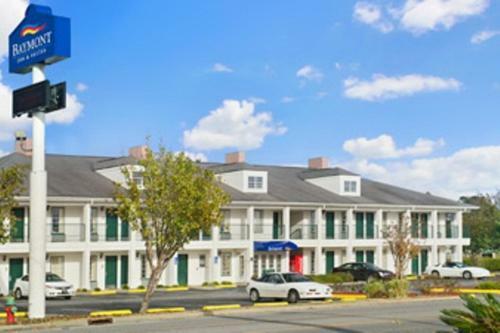 The hotel is on City Boulevard less than one mile from Highway 1 and one-and-a-half miles from the heart of Waycross. Waycross Motor Speedway is one-and-a-half miles southeast. Waycross College is four-and-a-half miles west. Arrange an alligator-spotting tour at Okefenokee Swamp Park 25 minutes south. The closest major airport Jacksonville International Airport in Florida is 70 miles southeast. 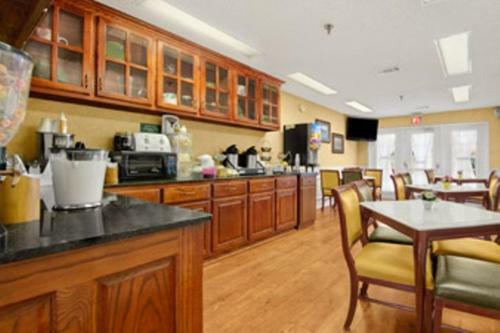 Add Baymont By Wyndham Waycross to your free online travel itinerary.